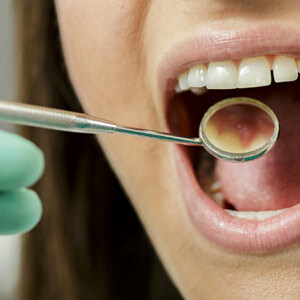 After a dental examination revealed you had periodontal (gum) disease, you began undergoing treatment. Now after several cleaning sessions, the infection has subsided and your gums have returned to a healthy shade of pink. But your gum care isn’t over — depending on the infection’s severity you may need to visit us more often than the normal six months between regular checkups. Gum disease arises from dental plaque, a thin film of bacteria and food remnants built up on tooth surfaces due to poor oral hygiene. The bacteria cause an infection in the gums, which initiates a response from the body’s immune system that triggers inflammation. Without proper treatment, periodontitis can come back in which the infection spreads deeper below the gum line. Pockets of infection can reoccur as gum tissues weaken and lose their attachment to teeth. This continuing damage can ultimately lead to both tooth and bone loss. To stop the disease it’s necessary to remove all the infection-causing plaque and calculus (hardened plaque deposits) from tooth surfaces, including around the roots. This is performed manually and could require surgery once again to access areas below the gum line. To guard against this it’s necessary for you to undergo regular periodontal maintenance (PM). Besides cleaning, PM gives us an opportunity to check for signs of returning gum disease and, if found, plan for another round of treatment. Although not written in stone, the interval between PM appointments that seems the most effective for preventing recurrence is every three months. In cases of advanced, aggressive gum disease, appointments may need to occur at even shorter intervals, for example every two months. PM for susceptible patients with decreased resistance to disease require extra time and effort for the hygienist, along with a renewed daily hygiene habit of effective brushing and flossing by you to keep the disease at bay. But preventing another occurrence of gum disease and its consequences is well worth this extra attention for the health of your teeth and gums. If you would like more information on dental care after gum disease treatment, please contact us or schedule an appointment for a consultation.